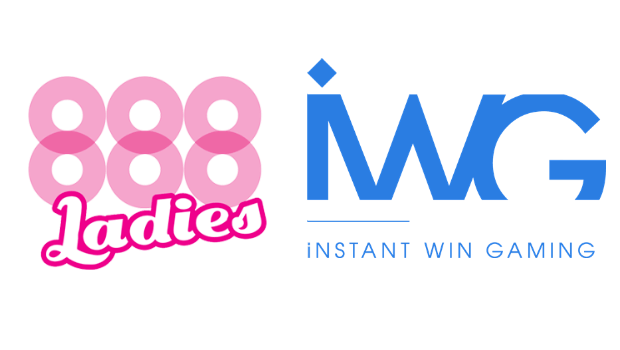 In a move that’s sure to add yet more excitement to 888Ladies’ packed library of games, the firm has announced an exclusive deal with Instant Win Gaming (IWG) that will see the 888 brand offer instant-win games to its players. IWG is widely regarded as one of the finest purveyors of instant-win games in the business, and the deal should strengthen the position of 888Ladies in the ranks of the premier online bingo sites. The launch will feature ever-popular titles including Slingo and Cash Buster, with plenty more set to follow as the plan is rolled out in the coming months. This is yet another sign that 888 Holdings is determined to dominate the online bingo market and by offering its players a full suite of games it’s one step closer to achieving its ambition. "We are thrilled to have agreed another major deal with one of the industry’s most respected operators. The growth 888 has been making in recent years is impressive and this agreement is an indication that operators now consider instant-win games as a vital product vertical. We have worked closely with 888, and we are sure both parties will reap the rewards of this deal. I’m sure their players will love our range of unique instant win games." The 888 brand is already one of the most diverse casino and bingo operations around, offering a huge selection of games and options that reward repeat play and loyalty. The introduction of instant win games is yet another new aspect, and no stone has been left unturned as it seeks a greater market share in 2017 and beyond. Not content with offering its new sign-ups a 300% welcome bonus and a stacked catalogue of games that includes 75, 90 and five-line bingo variants, 888Ladies will now offer bingo bastions and casino aficionados the chance to win life-changing sums in a matter of seconds. Don’t forget that 888Ladies offers much more besides bingo. It has recently updated the slots section of its website to include a raft of new titles such as Hall of Gods, Rainbow Riches and Arcader, with many more expected to hit the site in the months to come. Players can choose between standard slot gaming or chance their luck at winning one of the eye-popping progressive jackpots. With all of the traditional casino classics a player could ever need also on site, including roulette, blackjack, baccarat and casino hold ‘em, the addition of instant-win games is a particularly tasty cherry on the already scrumptious cake. What Does IWG Bring to 888ladies? IWG is one of the very best developers of instant games. It revised its strategy in 2016 to offer its wares to a wider range of outlets and operators, and 888Ladies is just the latest in a long line of additions to the brand’s portfolio. Mecca Bingo made the leap in October of 2016, with GVC Holdings – an umbrella firm whose concerns include Sportingbet, bwin and PartyGaming – following in February of this year. So, how have they benefited? Straight off the bat, IWG offers more than 250 games to its clients, so 888Ladies and co can handpick their favourite titles, and those they believe mesh best with their customer base, as they see fit. Those games can be fully ‘re-versioned’ too, which means that all 888Ladies players will have access to instant win games that are specially tailored to them. All games are supplied in a range of desktop and mobile-compliant software including HTML5, with a small but growing selection of 3D games taking the IWG brand to the next level. It has itself signed a range of licensing deals with a number of different brands, including Monopoly, to increase the diversity of its canon of titles. As if the excitement levels greeting the deal between IWG and 888Ladies needed any further boost, players can salivate at the prospect of joining the millionaire’s club. That’s exactly what happened to Michael Innes, who pocketed a cheque for a cool £1 million after landing the jackpot in the Monopoly Millionaire instant-win game. Join Innes today as a major winner by joining 888Ladies now!